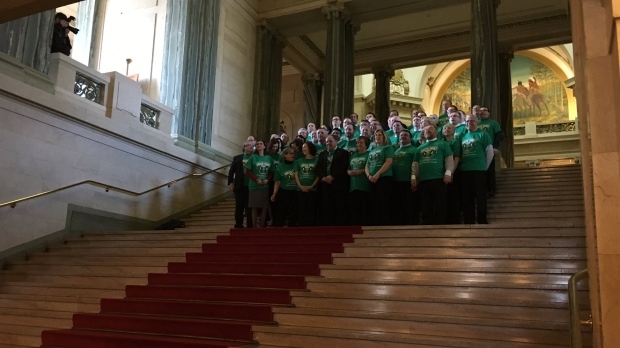 The province has named April 7 Green Shirt Day in honour of Humboldt Broncos’ player Logan Boulet. Boulet was killed when the Broncos’ team bus collided with a semi-truck near Tisdale on April 6, 2018. Boulet, who had signed his donor card, died in hospital on April 7. He donated his organs, saving six lives. Boulet’s family said it would make the anniversary of their son’s death with the inaugural Green Shirt Day. This year’s provincial budget announced funding for an organ donor registry. Schools and workplaces are encouraged to have staff and students wear green on Monday, since Green Shirt Day will fall on a Sunday this year.